It's time to brighten up Monday mornings in Europe, with the latest Nintendo Download Update having decent odds of achieving that goal. There is a whole smorgasbord of games and discounted goodies to consider, so let's get to it. 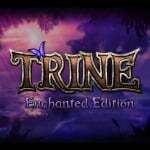 Trine Enchanted Edition (Frozenbyte, €12.99 / £10.99) - Its Wii U release has taken a little longer than originally expected, but this will allow fans of Trine 2: Director's Cut to become acquainted with the start of this franchise. Featuring online and local co-op just like its successor, this improved version of the original brings its visuals and more in line with the standard set in the sequel, enhancing what was already a rather attractive game. We found it to be positively spellbinding in our Trine Enchanted Edition review. Discounted to €10.39 / £8.79 for users who have downloaded Trine 2: Director's Cut on the same Wii U. Suspension Railroad Simulator (Joindots, €7.99 / £5.99) - Experience the unique atmosphere of the Wuppertal Suspension Railroad Simulator! For over 100 years, this unique vehicle has connected the entire German city of Wuppertal and transports 82,000 people on an average day. Now you can drive the Suspension Railroad Simulator virtually on its original track. We'll get on the railroad and bring you a review in the near future. Mega Man Zero 3 (Capcom, €6.99 / £6.29) - In the third chapter of the Mega Man Zero series, the robotic hero must again come to the aid of Neo Arcadia; this time when danger looms in the shape of a new, giant Reploid: Omega! Fortunately, Zero's arsenal is now even more powerful. New customisation chips replace the previous Form system, allowing you to combine chips to adapt to any situation, and the Cyber Elf system has also been overhauled. We'll bring you a review soon. Excave (Teyon, €4.99 / £4.49) - Imperial City is at war! The King needs you to explore the perilous and ancient Labyrinth beneath the city – find out why this mysterious magical laboratory now spews out an army of powerful monsters bent on destruction, and descend to its lowest depths to rescue the missing Magician. Triumph in a test of your weapons & magic, or perish trapped deep within the twisting halls of the Labyrinth. Be sure to check out our Excave review for more info on this charming RPG. Adventure Bar Story (CIRCLE Ent, €4.99 / £3.99) - This is an RPG set in a fantasy world in which you go on adventures with party members and manage a bar. Your bar is facing a hostile takeover by a rich restaurant owner, Gustav. Gustav is a powerful man and he will try to drive you out of business and force you to sell the bar. Find out what we thought in our Adventure Bar Story review. Jet Dog (Bigben Interactive, €7.99 / £7.19) - Send your dog flying as far through the air as possible with a stroke of the Nintendo 3DS stylus and unlock the equipment that will let you beat all the distance records. A simple, quick, funny and extremely addictive game for the entire family. Watch out for our upcoming review. Titanic Mystery (Joindots, €4.99 / £4.49) - Take a trip on the all-new RMS Titanic, the greatest, most luxurious ocean liner ever built. Exactly 100 years after the original ship sailed on its maiden voyage from Southampton to New York, the all-new Titanic sets off on the same voyage. Built with the same level of luxury and extravagance, but with modern-day safety designs and up-to-date lifeboats. But, shortly after you set sail you find out that someone on board has plans to blow the ship up. It is up to you to find the bomb and unmask the culprit by solving a series of puzzles and riddles. LEGO Ninjago: Shadow of Ronin (WB Games, €39.99 / £29.99) - There is a new threat in Ninjago, and he goes by the name of Ronin. With help from his army of dark samurai, Ronin steals the Ninjas' memories using an ancient weapon called the Obsidian Glaive. In LEGO Ninjago: Shadow of Ronin, it is up to players to help the Ninjas regain their memories and reclaim their powers before Ronin completes his plan and releases an even greater evil on Ninjago. Inazuma Eleven GO Chrono Stones: Wildfire (Nintendo, €39.99 / £34.99) - In this huge football RPG, the player stars as a young schoolboy, Arion Sherwind, who discovers football has been erased from existence by an evil organisation from the future! Recruit the ultimate squad, travel through time, and win matches against rivals to rediscover Arion's friends, and restore football to its former glory in Inazuma Eleven GO Chrono Stones: Wildfire on Nintendo 3DS and 2DS! Inazuma Eleven GO Chrono Stones: Thunderflash (Nintendo, €39.99 / £34.99) - Just three months after the events of Inazuma Eleven GO, Arion Sherwind returns to Raimon Jr. High to discover a baseball field where the football pitch once was. Worse still, there is no sign of the club, while students quietly enjoy other activities, like gymnastics, music and calligraphy – it's as if football never existed! With the arrival of some mysterious time travellers from 200 years in the future, it becomes clear that Arion is the only one who can save the beautiful game! And that's where things kick off, as you travel through time to explore a huge game world, uncover secret plots, battle rival teams to prove your prowess, and restore football to glory! SpongeBob HeroPants (Activision, £19.99) - Only a hero would dare to enter the world of SpongeBob's cotton candy and rainbow filled mind! Play as fan favourite characters in regular form or as heroes from the movie! You can even play as Plankton! Weave your way through obstacles and puzzles in popular settings from the movie, including Bikini Bottom! Conception II: Children of the Seven Stars (ATLUS) - Nintendo 3DS (Download) Nintendo eShop from 26/03/2015 €14.99 / £13.49 until 09.04.2015, 22:59 UTC. Regular price €29.99 / £24.99. Shin Megami Tensei IV (ATLUS) - Nintendo 3DS (Download) Nintendo eShop from 26/03/2015 €9.99 / £8.99 until 02.04.2015, 22:59 UTC. Regular price €19.99 / £17.99. Asterix The Mansions of the Gods (Bigben Interactive) - Nintendo 3DS (Card/Download) Nintendo eShop from 26/03/2015 €19.99 / £16.99 until 09.04.2015, 23:59 UTC. Regular price €34.99 / £29.99. Comic Workshop (Collavier) - Nintendo 3DS (Download) Nintendo eShop from 26/03/2015 €4.49 / £3.99 until 16.04.2015, 22:59 UTC. Regular price €5.99 / £5.39. Painting Workshop (Collavier) - Nintendo 3DS (Download) Nintendo eShop from 26/03/2015 €2.99 / £2.69 until 16.04.2015, 22:59 UTC. Regular price €3.99 / £3.59. Angry Bunnies (Cypronia) - Nintendo 3DS (Download) Nintendo eShop from 26/03/2015 €2.92 / £2.69 until 23.04.2015, 22:59 UTC. Regular price €6.49 / £5.99 / CHF 8.99. Angry Bunnies: Colossal Carrot Crusade (Cypronia) Wii U (Download) Nintendo eShop from 26/03/2015 €3.14 / £2.69 until 23.04.2015, 22:59 UTC. Regular price €6.99 / £5.99. Bubble Pop World (Cypronia) Nintendo 3DS (Download) Nintendo eShop from 26/03/2015 €3.74 / £3.35 until 23.04.2015, 22:59 UTC. Regular price €4.99 / £4.49 / CHF 6.99. Cake Ninja 3: The Legend Continues (Cypronia) Wii U (Download)" Nintendo eShop from 26/03/2015 €3.69 / £3.33 until 23.04.2015, 22:59 UTC. Regular price €4.99 / £4.49. Color Zen (Cypronia) Wii U (Download) Nintendo eShop from 26/03/2015 €2.24 / £2.24 until 23.04.2015, 22:59 UTC. Regular price €2.99 / £2.99. Color Zen (Cypronia) Nintendo 3DS (Download) Nintendo eShop from 26/03/2015 €2.24 / £2.24 until 23.04.2015, 22:59 UTC. Regular price €2.99 / £2.99. Color Zen Kids (Cypronia) Wii U (Download) Nintendo eShop from 26/03/2015 €2.24 / £2.24 until 23.04.2015, 22:59 UTC. Regular price €2.99 / £2.99. Color Zen Kids (Cypronia) Nintendo 3DS (Download) Nintendo eShop from 26/03/2015 €2.24 / £2.24 until 23.04.2015, 22:59 UTC. Regular price €2.99 / £2.99. Fishdom H2O: Hidden Odyssey (Cypronia) Nintendo 3DS (Download) Nintendo eShop from 26/03/2015 €3.74 / £3.35 until 23.04.2015, 22:59 UTC. Regular price €4.99 / £4.49. My Style Studio: Hair Salon (Cypronia) Wii U (Download)" Nintendo eShop from 26/03/2015 €3.74 / £3.35 until 23.04.2015, 22:59 UTC. Regular price €4.99 / £4.49. My Style Studio: Hair Salon (Cypronia) Nintendo 3DS (Download) Nintendo eShop from 26/03/2015 €3.74 / £3.35 until 23.04.2015, 22:59 UTC. Regular price €4.99 / £4.49. 99Seconds (EnjoyUp Games) Wii U (Download) Nintendo eShop from 26/03/2015 €1.49 / £1.34 until 23.04.2015, 22:59 UTC. Regular price €2.49 / £2.29. Darts Up (EnjoyUp Games) Wii U (Download) Nintendo eShop from 26/03/2015 €1.49 / £1.34 until 23.04.2015, 22:59 UTC. Regular price €2.49 / £2.29. Darts Up 3D (EnjoyUp Games) Nintendo 3DS (Download) Nintendo eShop from 26/03/2015 €1.49 / £1.34 until 23.04.2015, 22:59 UTC. Regular price €2.99 / £2.69. Football Up Online (EnjoyUp Games) Nintendo 3DS (Download) Nintendo eShop from 26/03/2015 €2.99 / £2.69 until 23.04.2015, 22:59 UTC. Regular price €3.99 / £3.59. 3D MahJongg (Joindots) Nintendo 3DS (Download)" Nintendo eShop from 26/03/2015 €3.59 / £3.19 until 09.04.2015, 22:59 UTC. Regular price €4.99 / £4.49. Atlantic Quest (Joindots) Nintendo 3DS (Download) Nintendo eShop from 26/03/2015 €4.99 / £3.59 until 09.04.2015, 22:59 UTC. Regular price €6.99 / £4.99. Crazy Construction (Joindots) Nintendo 3DS (Download) Nintendo eShop from 26/03/2015 €4.99 / £3.59 until 09.04.2015, 22:59 UTC. Regular price €6.99 / £4.99. Undead Bowling (Joindots) Nintendo 3DS (Download) Nintendo eShop from 26/03/2015 €4.99 / £3.59 until 09.04.2015, 22:59 UTC. Regular price €6.99 / £4.99. TNT Racers - Nitro Machines Edition (Keen Games) Wii U (Download) Theme Shop from 27/03/2015 €4.99 / £4.49 until 09.04.2015, 22:59 UTC. Regular price €7.99 / £6.99. Paper Monsters Recut (Mobot Studios) Wii U (Download) Nintendo eShop from 26/03/2015 €3.29 / £2.79 until 09.04.2015, 22:59 UTC. Regular price €6.49 / £5.49. Zen Pinball 2: South Park Pinball (Zen Studios) Wii U (Add-on content for for Zen Pinball 2) Nintendo eShop from 26/03/2015 €2.49 / £1.99 until 02.04.2015, 22:59 UTC. Regular price €4.99 / £3.99. Snow Moto Racing 3D (Zordix AB) Nintendo 3DS (Download) Nintendo eShop from 26/03/2015 €3.99 / £3.59 until 02.04.2015, 23:59 UTC. Regular price €7.99 / £7.19. Trine 2: Director's Cut (Frozenbyte) Wii U (Download) Nintendo eShop from 26/03/2015 €13.59 / £11.19 for users who have downloaded Trine Enchanted Edition on the same Wii U. Regular price €16.99 / £13.99. World Conqueror 3D (CIRCLE Ent.) Nintendo 3DS (Download)" Theme Shop from 27/03/2015 £3.99 - was £4.49 / CHF 7.00. That's everything for this week in Europe. Let us know what you'll be downloading in the comments and poll below. MMZ3 for me this week. "Best Friends - My Horse 3D (Treva Entertainment, €29.99 / £24.99)"
Nothing for me this week. That's like the 3rd time in a row! dude !!! Megaman Zero 3 ! We're still stuck at the first one in NA !!! What are they doing !!!! Not mentionning a lot of other good vc title ! Ah, nothing for me this week. Too bad. Kinda interested in Excave and Adventure Bar Story as well as Inazuma, but I'll probably wait for a sale as I always do. Definitely Adventure Bar Story for me this week and maybe Excave too, have the Japanese version of that though and they're up to part 3 now! Nothing this week, still got a massive backlog of games to catch up on! Shame the discounts seem to be the same every other week. Zen Pinball 2 add-on for sure. 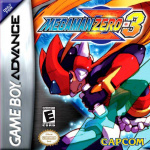 Mega Man Zero 3 is a great game but I already own it on GBA. Shin Megami Tensei is tempting but I have so much to play, it's ridiculous. So, nothing for me! Best timing ever for Shin Megami. Getting that for sure. Any change chrono trigger gone come one day on vc for wiiu? I really want to play that game on my gamepad! And not with a wii controller! No Wii games again, we should be getting one every week if we are not getting GC and N64 games! Excave likely, Adventure Bar Story maybe. @andyg1971 How do you figure that? Why in NA and PAL have not got mega man(game gear) and street fighter 2 and alpha from game boy and game boy color yet. Getting the Wuppertal Simulator since I've heard many amazing stories of that railroad system but never been there. So it seems like Europe is getting MMZ while NA gets MMBN. I'm perfectly fine with that, but man, I sure hope we get 3 soon. I feel kind of like they're holding off for another Mega May. Trine and Megaman Zero 3 for me, thank you. @Scirm : You think THAT'S funny? Try Angry Birds: Star Wars on Wii U. Just $69.95 on the Australian eShop. @xj220_afiles We are also still stuck with only getting half of the first Golden Sun Story. Europe has it pretty sweet and they don't even know it. They've been getting Battle Network. Right now there is only one they don't have that we do. Trine is a must, having bought and adored the 2nd one since the beginning, and maybe one or two discounts, I'll check'em out. Those who don't already have it: Get the South Park pinball tables from the sale! Imo they are among the best tables Zen Pinball 2 has to offer, both in terms of gameplay and looks, and hence a must for every pinball fan. A must for South Park fans anyway. AND they are both very beginner-friendly, and thus recommended as a good place to start if you haven't been into pinball until now. For that price, I really should take the plunge on SMT IV. Is the Trine Enchanted Edition discount for Trine 2: Director's Cut owners a temporary or permanent thing? And, finally, Trine 2 is permanently discounted, after about half a dozen temporary discounts! I bought SMTIV when it was on sale like a month ago, though for like £2-3 more. Atlus sure love their sales. @whodatninja well what are you waiting for? Mmm... that Shin Megami Tensei IV discount is very tempting. Aw... I can't click two options at once. For I shall be downloading both Trine Enchanted Edition and Adventure Bar Story... at the same time! Trine 2: Director's Cut was a brilliant game, to which I look forward to playing the original. That said, I need to gather my brothers to finish Trine 2 together first. Meanwhile, Adventure Bar Story looks like a fun turn based RPG. It also happens to be published by Circle, who have a tendency to bring forth games I enjoy a ton. So I look forward to downloading that as well. @faint I expect Nintendo things from a Nintendo console. N64, Gamecube, more SNES classics (like Yoshi's Island) on the Virtual Console. Is that too much to ask? @whodatninja so retro first party most popular franchises only? you guy got metroid last week right? 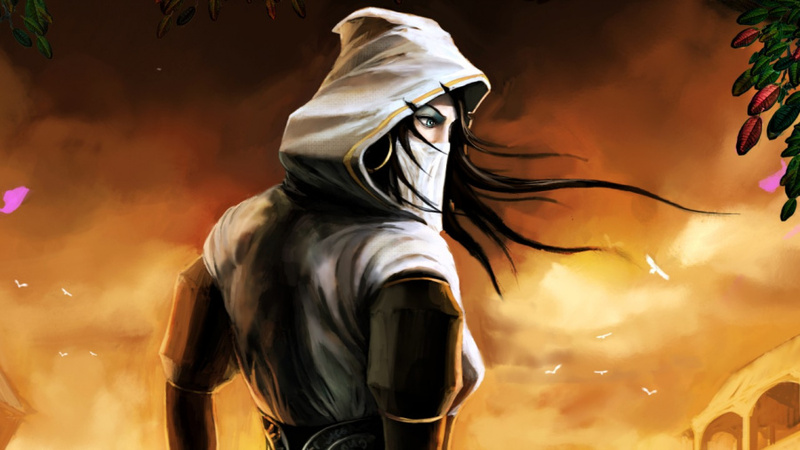 I fancy Adventure Bar Story and Trine. There's Asterix too, which reminds me of childhood etc, but the humour doesn't always compensate for poor gameplay. Exploring the Gaullish village though... I'd normally hold out for a cheap cartridge, but wait, it's not being sold as a cartridge game here! Does that mean it's really bad or just that the UK doesn't really do Asterix? @faint No I got the original NES version already. I might actually finally try a Shin Magami Tensei game if that discount comes to NA. I own already Trine, but will buy it again on Wii U sometime on sale. I'm getting the South Park tables on sale this week. Probably going to pick up SMT4 if I remember. Been wanting to try that series out for a while. I'm curious about the Inazuma games. Never played any of the series. But which one? @whodatninja Doesn't matter. Metroid Zero Mission is a different, superior, experience to the NES game. Its like saying you don't want Super Metroid because you already have the NES game. The three games are all worth downloading if you're a fan. @Bass_X0 The NES Metroid has it's own charm. I do agree that Zero Mission is superior, but the original has some advantages (I'm serious!). Like I prefer the original for 100% Completion, because ZM could get a little ridiculous with some of the missiles and 1 E-Tank. I've done 100% on ZM, but it took a lot of time to acquire the needed skill so I can shinespark well enough to reach the secret rooms that contain the missiles. For me personally, the original has higher replay value due to the nostalgic feels, 100% is easier (like I stated above) and the enemies aren't 'just there' like they were in ZM (they weren't threatening at all). And why was Ridley such a joke? 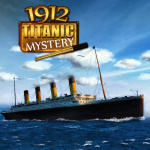 Oh good, ANOTHER Titanic game that'll be a regular Sale title. "Best Friends - My Horse 3D (3DS retail): 1%"
Never come across the Shin Megami franchise before but it looks like the sort of game I'd enjoy. £8.99 is a steal for that title after doing some research into it. Still waiting on GBA Mario Kart Super Circuit in Europe! When you get a new SD card all you hafta do is copy the folders to your pc then paste them into your new card. It's very simple. The people who say nothing every week...they seem to be part of the problem. I'm not missing it at that price! @Flopsy86 if you have even a passing interest in JRPGs, do it! Especially at that price. It's frustrating because of its difficulty but to me it's one of my favourite 3DS games. I think that Americans are voting on the European poll. @Flopsy86 Me too though I think they may release it sometime near the 2nd MK8 DLC pack. Would fit very well too as Super Circuit is generally ignored with regards to being chosen for retro tracks. @ottospooky I don't play many JRPGs at the moment. Back when I played on 360 and PS3, I was into the Tales of series, Hyperdimension Neptunia and FFXIII. I probably will pick Shin Megami up, I have a massive backlog on 3DS at the moment. Do you know if this can be played in short bursts? I ask because I usually play on breaks at work and usually have to put the game down at a moment's notice, it would be nice to be able to save on the spot without putting 3DS in sleep mode. @rippertnl square hasn't released a single vc game on the wiiu outside of japan so i doubt it. @whodatninja so no remakes that literally completely make it a new game for you then. I have to buy SMT IV. I hate Atlus for lack of localization and for going digital only, but that game for € 10 is a must. @andrea987 I did say that I know it's crap! But it does give free exploration of the village and the demo gives you only one minigame so hard to judge the whole thing. Was hoping for a deeper discount or to get the cart cheap on Ebay, but will have to import. Rareness might keep the price relatively high. Still probably like that more than Monster Hunter or Smash. I really cannot see what the fuss is about there and am going to flog. I'll probably get the railroad sim out of sheer curiosity , would like to see comic workshop hit the wii u at somepoint. Could someone recommend me a megsmsn vc game to start with? Always wanted to get into the series but I dunno where best to begin. @sillygostly f me, know how you feel, bro. Same goes for Poland where Pokemon XY and Angry Birds share same price, whaaat? Shin megami tensei & conception on sale..ftw im going to grab both! Well, Asterix: Mansion of the Gods is worse than you thought it could be. It's aimed squarely at the unders 5s and even then, they'd have to be mentally-compromised to find any challenge in it. The same few minigames played over and over with no incremental challenge or, indeed, any challenge (or point) to start with. Maybe for £1.79 for your 2 year old, but otherwise, just avoid it. The village meandering is slightly distracting, but not enough to warrant purchase. Asterix and Obelix at the Olympic Games was much better, and that was kind of just passable. SMT though is great.